First Class Agency - is a booking agency. Why i should be bothered? 1) The one and only booking agency that can bring ANY artist. 2) High-quality preparations, and GUARANTEE that the artist will be present at your event. 3) Providing all the FINANCIAL REPORTS of the costs associated with the project. 4) First Class Agency not only books the artist, but does all the related SUPPORT. Almost two years we accompanied the artists booking in the best entertaining complex of Ukraine - ARENA Entertainment. For that time ARENA Entertainment saw almost every single house music DJ from all around the world. 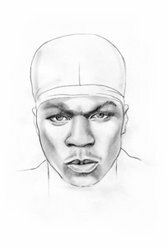 In particular, we were the co-organizers of the first and unique concert of 50 Cent in May, 2006 at ARENA Concert Plaza. First Class Agency fully accompanied Sean Paul’s team on a large festival DJUICE GO:AL in 2006. In a 2008 First Class Agency fully provided a requirement in the European artists on televisional shows "Factory of Stars - 2" on Noviy Channel and "Show of Verki Serdyuchki" on the TV channel Ukraine, bringing such grandees as Modern Talking, Ricchie E Poveri, Ottawan, Baccara, Ingrid, Boney M, Bad Boys Blue, Morandi and Arash. Also First Class Agency exclusively organised Hed Kandi party in 2008 in new-opened club Heaven, bringing famous DJ - Wez Clarke. In 2009, First Class Agency presented a legendary participant of Modern Talking - Thomas Anders for the final of the TV show "Fabryka Zirok - 3". In summer 2010, First Class Agency fully provided with artists "Pleasure Beyond Events" for Philip Morris Ukraine, which took part in three cities of Ukraine: Odessa, Dnepropetrovsk and Kiev. On those parties took part the legendary Fierce Angel, Mark Doyle feat. Lady V, Shena, Katherine Ellis, Hed Kandi feat. Wez Clarke, Syke'n'Sugarstarr aka SE:SA, Alexandra Prince. In the winter of 2011, First Class Agency organized Khortytsya Winter Music Fest, which took place in Bukovel for resort guests, with participation of Ukrainian artists: Tina Karol, Boombox, Nikita. In April 2011, the company brought Alessandro Safina at the annual awards ceremony "Pride of the Country 2011", which is supported by the Victor Pinchuk Foundation. 28th June 2011, the company is First Class Agency organized a unique concert of Sophie Ellis Bextor in Odessa, which took place in the entertainment complex Park Residence. 28th August 2011, the company brought a First Class Agency Thomas Anders to the opening of the popular TV show "Star Factory 4". If you chose an artist already, and want to get professional consultation, please fill the form , and one of our agents will contact with you immediately. Also First Class Agency offers a new unique service – on our official site you can order any other artist who is not even in the roster. Only First Class People work in First Class Agency.